A very short note to let you know that the Neverland's Library Fantasy Anthology is now available from Ragnarok Publications. I have a short story in this anthology, which is more of a traditional fantasy story, one that I enjoyed writing. "Love, Crystal and Stone" was written for my friend Mazarkis Williams, who wanted to know more about the dragon in my short story "Naked the Night Sings." Here's your dragon, my friend. Fantasy Book Critic published an exclusive excerpt from my story back in October of last year if you want a peek. There are a lot of great stories in this collection. Tad Williams wrote a beautiful introduction, and I'm looking forward to reading all of the stories this week. Dragons, magic, princesses of mighty kingdoms ... elements of fantasy that have carried on throughout the many ages, and yet, may one day be forgotten. Enter and delve into the roots of fantasy, rediscovering the fantastic, and exploring lost worlds. 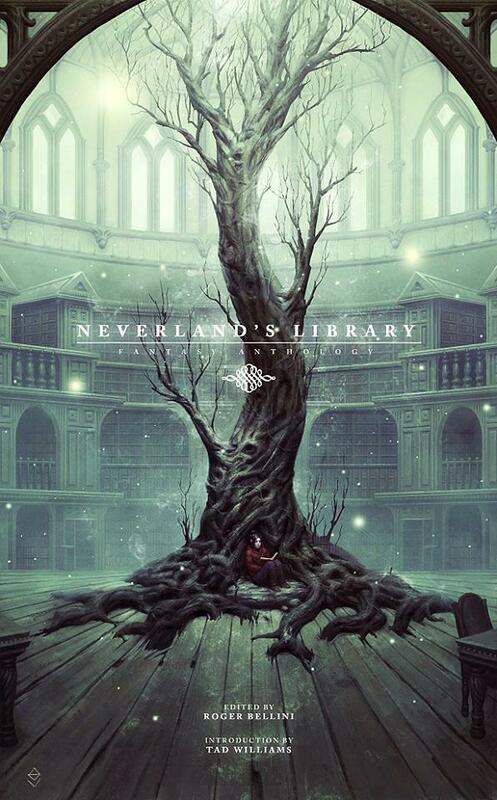 Neverland's Library is storytelling at its finest. This collection of original works will take readers back to that moment when they first fell in love with the genre. Featuring an introduction by Tad Williams and stories from writers across the spectrum such as Mark Lawrence, Marie Brennan, R.S. Belcher, Miles Cameron, Teresa Frohock, Don Webb, Joseph R. Lallo, J.M. Martin, Brian Staveley, Tim Marquitz, Jeffrey J. Mariotte & Marsheila Rockwell, Kenny Soward, Betsy Dornbusch, Stephen McQuiggan, Keith Gouveia, Jeff Salyards, William Meikle, Ian Creasey, Mercedes M. Yardley, Peter Rawlik. This is a collection worthy of one's library.